First came a painful decade of arduously translating Finnegans Wake into Polish. The translator – no doubt having achieved a higher plane of consciousness after completing such a herculean task – came up with the idea of turning the text into a musical score. For those unfamiliar with the Joycean gem, there is admittedly something reminiscent of a score to the most psychedelic chapters. For example, the famous quote: bababadalgharaghtakamminarronnkonnbronntonnerronntuonnthunntrovarrhounawnskawntoohoohoordenenthurnuk! As it turns out, Finnegans held an infinite ocean of music ranging from the classics (Haydn, Chopin, Rachmaninoff) to contemporary soundtracks (The Imperial March from Star Wars, no less). Fortunately for Joyce fans, the midi recordings of Bartnicki's finds are available online, and now becomingly remixed by DJ Paide. Does this ring a bell? To understand the idea behind the newest project of Krzysztof Bartnicki (which may seem at first a mixture of pure insanity and extreme rationality) as well as to see how the James Joyce book can comprise the pieces of Chopin and Haydn, and even pieces composed well after Joyce's death, we need to go back a couple years. Around the turn of the century Bartnicki, at that time a fresh graduate of the English Studies Department of the Wrocław University, set out on a project that eventually took over 10 years to complete - the task of translating Finnegans Wake, the late masterpiece of James Joyce, generally considered the most difficult book in history. Completed and published in 2012, Bartnicki's translation of the Wake (Polish title: Finneganów tren - see more...) became the seventh worldwide complete translation of this work. Following the publication, Bartnicki received many awards and a surprising amount of media buzz. After this 15 minutes of fame, Bartnicki started to work on Finnegans Wake even more diligently and... furiously. He went on to write a book entitled "Fu wojny" (Fu of War), allegedly a translation of a commentary to an ancient Chinese treatise, in fact a highly philosophical piece on the possibility of translation (the idea and material definitely inspired by his experience with Finnegans Wake). Bartnicki has gradually gained the reputation of an author specialising in impossible books, that is, impossible to read. This reputation was confirmed with his following book "Da Capo al Finne" (2013), a 130 pages long book, written in tiny letters - with no word breaks, no punctuation, and – you will understand the rhyme and reason behind this further - using only 8 letters of the Latin alphabet. These eight letters of "Da Capo al Finne" are ABCDEFGH, which are the only letters having direct musical meaning in Western tradition (CDEFGAH are the notes in the scale). Bartnicki took the English text of Finnegans Wake and removed all elements irrelevant to musical meaning, that is, other letters, signs, word breaks, etc. 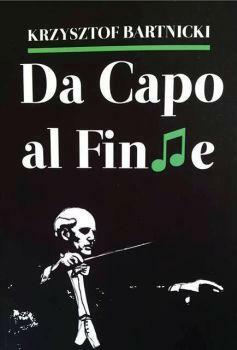 Post-op, Da Capo al Finne became a kind of Finnegans Wake score, where every letter is a note, a sound. Which means it can now be sung and played, thus recreating a musical version of Finnegans Wake for the Joyceoholics among us who cannot be content with simply reading the master. But why would there be music in Finnegans Wake in the first place? Well, there is already a long tradition of hunting music in Joyce's masterpiece. It was actually Joyce himself who first commented on the musical nature of his work, saying its sole purpose was to be read aloud. Obviously, there were over time attempts at illustrating the book with music or giving it a musical version, the most famous of those being John Cage's Roaratorio. However, no one has ever been so radical so as to look for a score in the wake’s very letters. One of the most recent discoveries in the Joyce score is the piece called Variations on a theme by Paganini – which was originally written by Polish composer Witold Lutosławski in 1941, based on the famous theme by the Italian composer. In this case, Bartnicki extracted from the Da Capo al Finne a sequence of 1941 letters and arranged it into a new piece - you could say that it is Bartnicki's version of Joyce's variations on Lutosławski's variations on a theme by Paganini. Bartnicki's A Redivivus of Paganinism premiered on October 19, 2013 in the Cultural Center "Gaude Mater" in Częstochowa - performed as part of the Lutosławski Year by Michał Ostalski. 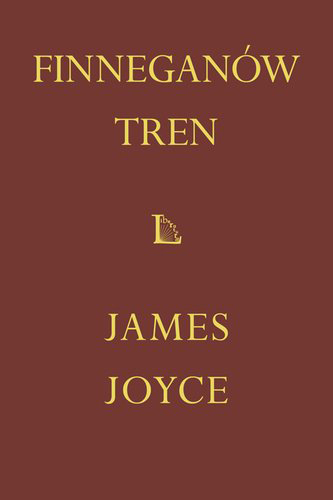 first, James Joyce was turned into Finnegans Wake. then, Finnegans Wake was turned into a sequence of letters. the letters -- into sounds -- into a midi -- into a mix. The podcast Finnegans Wake Remixed by Paide premiered on January 28, 2014 and is available here www.radio-alternator.com.